This set of photos was taken on May 19, 2016, at 8:38 AM. The "Take It!" was one of the easiest decisions I have ever made. The simplicity of the message, was clear, profound and uplifting. The way the graphics were applied, only added to the strength of the message. The color red, seemed to also lend a certain emphasis. The After Take: Everyone I showed this set to enjoyed the message projected. I could not help but wonder how many of us would be able to drive a car with this statement. I think the driver is given many an approving look after the observer has taken it all in. I would hope there are very few that "don't get it." Here is hoping your day may include just a little intentional wandering, for in the doing, it can many times bring additional clarity, even near those that help remind us of this, without even being personally present. All my best to each of you. How very profound, and awesome if you ask me. 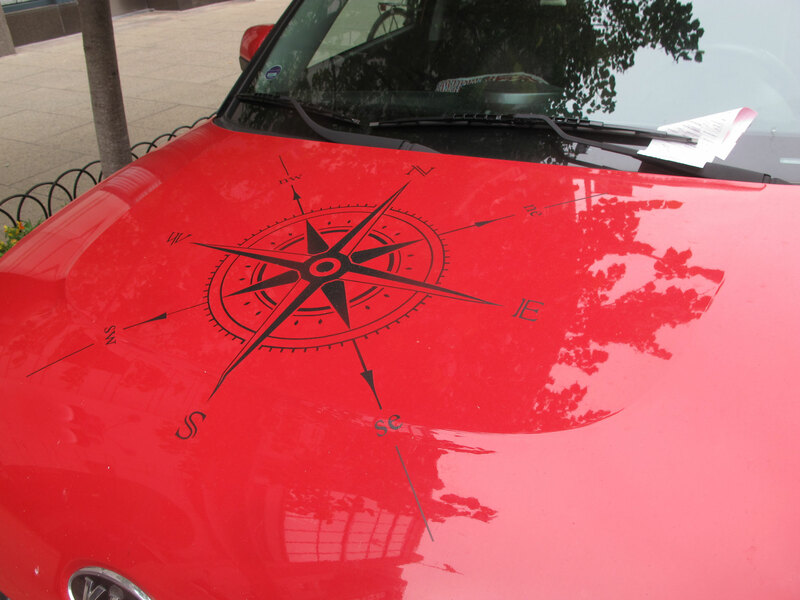 The compass is just awesome! I am going to show this one to my students once school starts. This will be perfect for the first novel I have them reading. Robinson Crusoe. Glad to see you guys posting again. I missed some apparently and will take a look over the next few days. This is epic! I mean WOW, this thing is B.A. 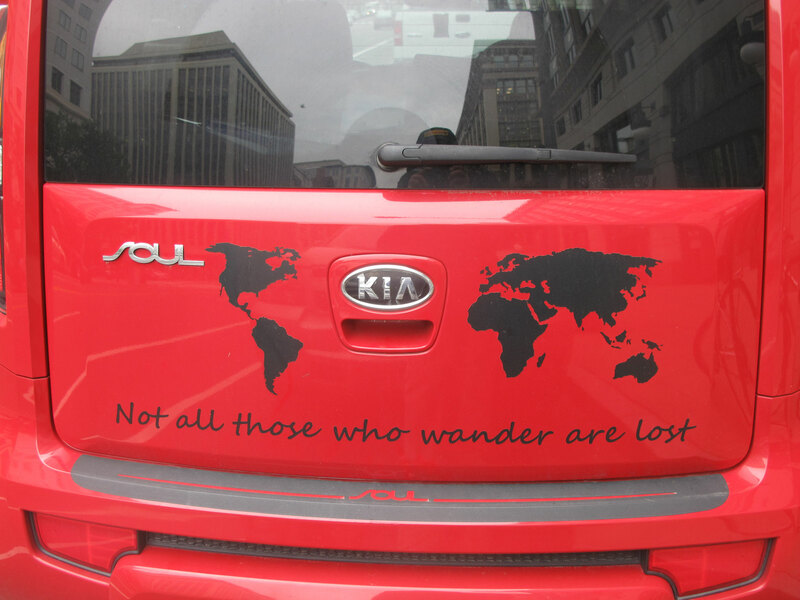 Almost seems fitting its on a KIA "SOUL." Great photos Bruce!